The 2014 Subaru Forester has been named Best SUV in the Yahoo Autos Car of the Year awards. The new generation Subaru Forester’s steady stream of awards just continues to get longer and it gets even more praise this week. We began writing here at Torque News how good the Forester was before it ever received its first award last year. The next-generation model was completely redesigned and continues to be recognized for how good it really is. The new SUV has now been named Best SUV in the Yahoo Autos Car of the Year awards. The next-gen Forester has won a number of prestigious awards this year and has added another one to the trophy cabinet. This latest award does not come as a surprise as the Forester is well deserving. The Forester last week was named Best SUV under $45,000 in the Australia’s Best Cars awards, from the nation’s combined motoring organizations. And the new SUV has also recently won Mid Range SUV of the Year by U.K. 4x4 Magazine, Best Car to Buy 2014 by U.S. automotive publisher High Gear Media and 2014 Sport/Utility of the Year by U.S. Motor Trend magazine. The U.S. specification Forester previously won the Motor Trend award in 2009 and Outback in 2010, making Subaru the only brand to have won the award three times. 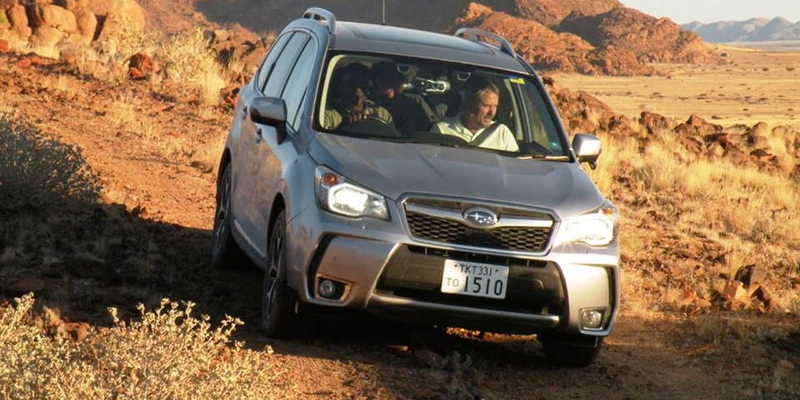 Subaru has stayed with the core values that have made the Forester a success. Forester started with the core values of good visibility, cargo carrying ability and versatility. It has remained true to those core values for 15 years. Subaru just celebrated its 1 millionth Forester sale here in the U.S. But its not the Subaru loyalists who are now buying the Forester. A new generation is finding that the Forester is a good vehicle that fits their needs. The secret to Subaru’s success is that they stick to the basics and then they keep improving on them every year and with every new generation. Another core value is staying with their excellent Symmetrical all-wheel-drive. And the new Forester gets a new X Mode for extra traction. And safety is paramount for all Subaru vehicles and the Forster is no exception in the lineup. In May 2013, the Insurance Institute of Highway Safety (IIHS), awarded the best possible ranking of 2013 TOP SAFETY PICK + to the Forester currently sold in the North American region. The new-generation 2014 Subaru Forester’s steady stream of awards just continues to get longer as the SUV has been named Best SUV in the Yahoo Autos Car of the Year awards. Yahoo found out what Subaru owners have known for years. Forester gives their owners good visibility, cargo carrying ability and versatility. It’s everything they want in an all-wheel-drive vehicle.